Home » Android , HTC Desire HD , Mobile Applications , Samsung Galaxy S2 » Sports Tracker App for Android Launched! Sports Tracker App for Android Launched! Sports Tracker App for Android turns your mobile into a social sports computer. The app is a big hit on iTunes and has finally arrived on Android market. With this app, you can track and analyze your performance, share workout data and photos with your friends, and most of all – get fit and stay healthier. Track and analyze your performances, monitor your progress. Store all training data in your personal workout diary. Keep track of everything from calories burned to average training speed and altitude. Use maps, time and distance calculators. 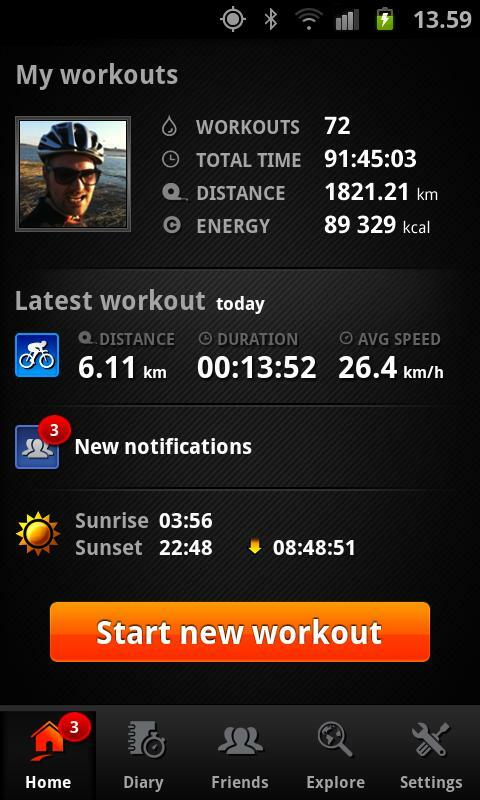 Share workout data and photos with other trackers on Sports Tracker, Facebook and Twitter. See your friends' profiles and comment their workouts and photos. Explore the globe to discover new routes, trails and adventures worldwide. Download the app for FREE from Android market.